The country’s long national nightmare is over; Donald Trump has unblocked his biggest MMA supporter on Twitter. 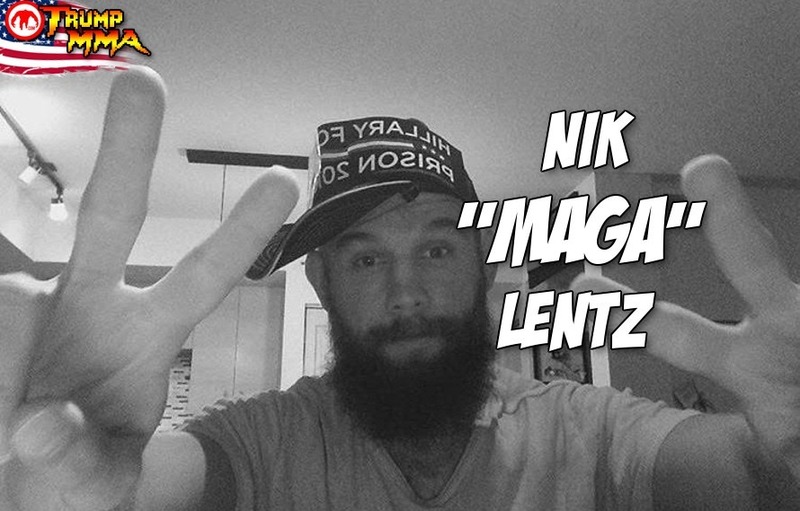 For the past year, UFC featherweight Nik Lentz has tweeted at, gif’d, meme’d and generally stalked Donald Trump’s Twitter account with an endless stream of messages. Lentz’s personal campaign to make his social media accounts great again, starts and ends with his nonstop support for the 45th and current president of the United States of America. Maybe for his own good, the UFC really needs to prebook all of Lentz’s fights for the next four years to save him from himself. So how did Lentz, who’s passion for everything Donald J. Trump burns with the power of 63 million flames, get blocked on Twitter by the former reality show host? From the looks of his Twitter activity, a huge part of Lentz’s social media time is spent praising Trump, defending Trump, arguing with people about Trump, gif-ing at Trump, meme-ing at Trump and messaging words directly at Trump. Thankfully for Lentz and maybe the sport of MMA as an whole, the UFC featherweight announced today he has been unblocked by Trump. Which also means for the time period he was blocked by Trump, the president could not see any of the tweets, gifs, memes and fiery debates Lentz sent his way. Nik Lentz verbalizing gifs and memes that he thinks the The President of the United States is reading on his cell phone but are actually just falling into an infinite vortex of the interweb, really puts everyone’s place in the universe at large into perspective. A Mind blown gif is coming your way Mr. Lentz. Next articleVideo: Boxing champ turned Bellator prospect Heather Hardy punches the hell out of Louis C.K.